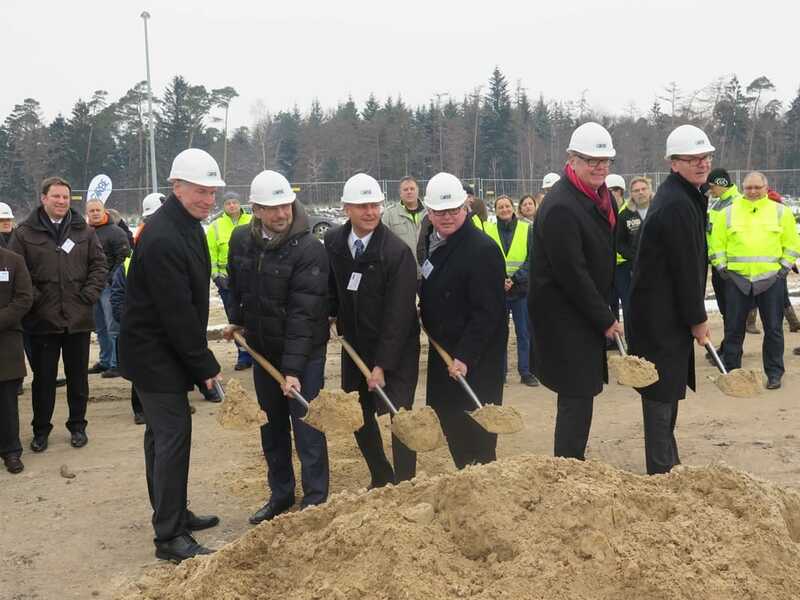 Garbe Industrial Real Estate GmbH is setting up a new logistics warehouse in Varel, Friesland district for thyssenkrupp Aerospace Germany GmbH for the production, storage and handling of airplane components. Today’s groundbreaking ceremony marked the start of the construction of the approx. 4,400-square-metre building. Completion is planned for June 2016. The new logistics and production warehouse is situated on a 9,200-square-metre site in Varel Aeropark. Located on the A29 motorway, the industrial estate has become an important setting for the air-freight industry thanks to its proximity to the factory of aircraft manufacturer Aerotec, an Airbus subsidiary. “In such industrial clusters, industrial real estate for logistics and production services are equally attractive to developers and investors alike because demand for them stays stable”, says Dietrich Hempel, Garbe Industrial Real Estate GmbH Board Member. This also applies to the new logistics and production site for thyssenkrupp Aerospace. The new warehouse will be equipped with a selection of extraordinary features to meet the demands of the air-freight industry: the high level of natural light will be ideal for the production of small parts, and a pillar-free building will enable flexible usage. There will also be foundations separate from the hall floor to absorb vibrations from machinery, the development of a ventilation system for metal chips, and two extra-large Jumbo gates. “Following completion, thyssenkrupp Aerospace will rent the building for at least nine years”, says Jan Dietrich Hempel.